The decision of opening your own restaurant means you have passion and experience for the food and drink industry. Food is associated with the cultural heritage of the country which will be represented in menu of the restaurant. The menu will also reflect the individual openness and knowledge to other cultures through the presentation of different dishes from other countries. Note: Other items are needed to start a restaurant which will be your greatest single asset for turning your dream into reality. To have a successful restaurant you have to study the market and conduct SWOT analysis. A SWOT analyzes the strength, weakness, opportunities, and threats for opening your own restaurant. 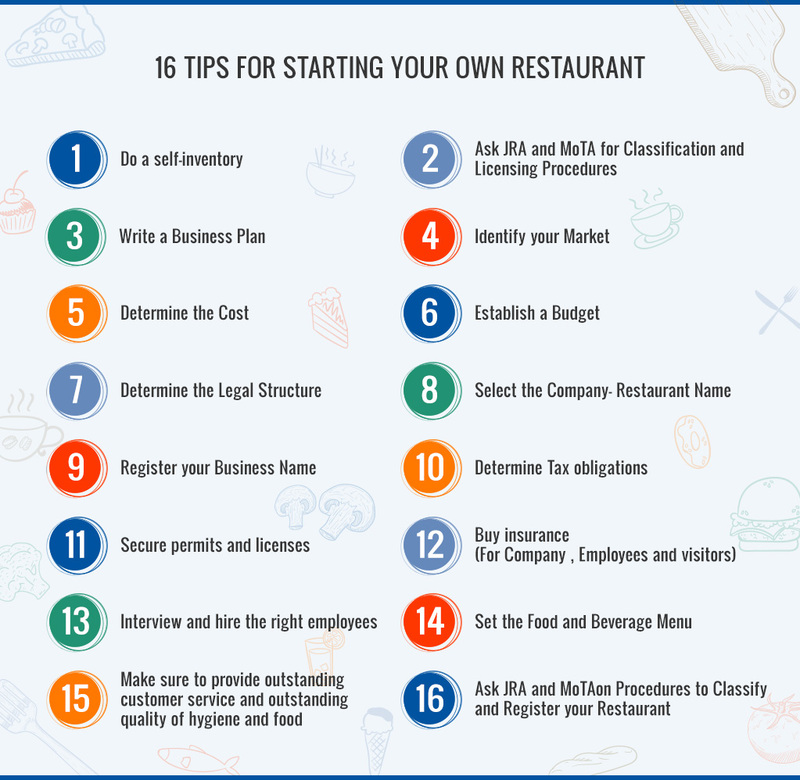 A solid business plan can help build foundation in opening your own restaurant to where you can eventually provide an outstanding service for the customer in regards to the quality of food, service and hygiene.